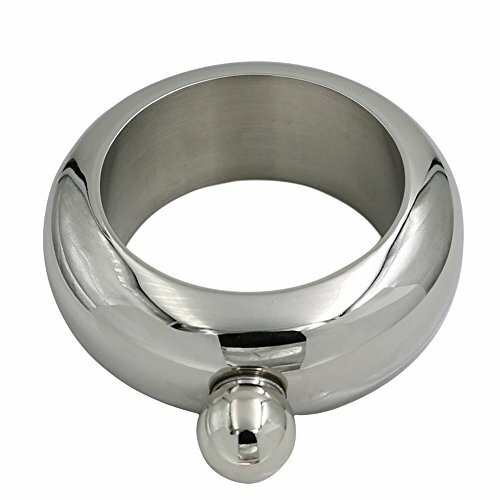 Bracelet Flask - Moar Stuff - You don't need it but you know you want it. Bracelet Flask is a fully functioning flask! 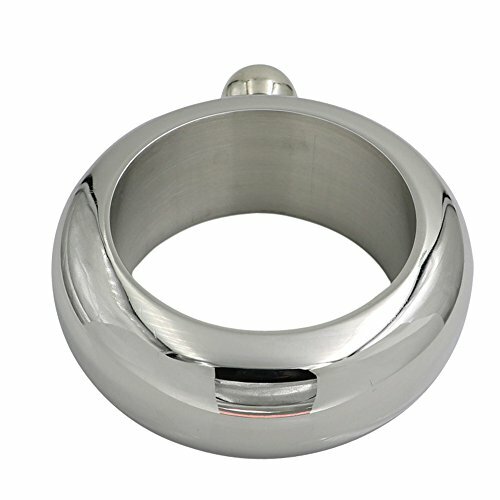 It measures over 3.5" in diameter and holds 4oz of your favorite liquids! Gorgeous and perfect for any occasion! If you would like it personalized there is a small space on the bottom of the outside of the bracelet. Simply specify at check out what name, date and/or very short message you wold like and we will handle the rest! The most stylish way to take 4 oz. of your favorite spirit with you . Never leave home without it! This 4 oz. 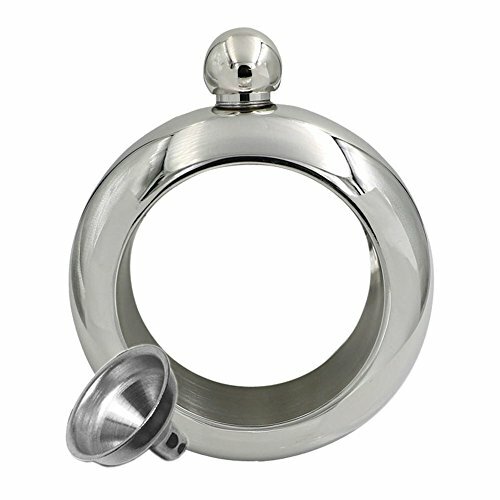 Bracelet Flask is the fashionable way to take your (or your girlfriend/wife’s) favorite spirit anywhere. It’s a great way to sneak booze into a concert, game, or carnival event where they usually want you to buy their overpriced adult beverages. Basically, it’s perfect for situations that require subtle sipping. Like after dropping the little monsters off at daycare…. Wait! Did I actually type that? 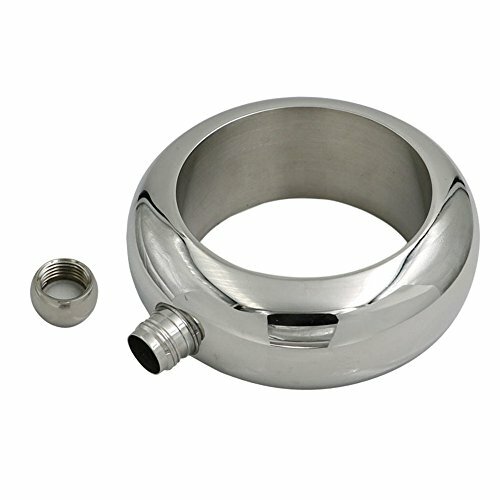 Designed to look like a thick bangle, this stainless steel flask will hold up to 4 oz of your favorite liquor but be completely hidden from everyone else. The twist off cap keeps your beverage inside until you’re ready for a nip. The hole to get your wrist through is about 2.7″ in diameter (69 mm) but the bracelet has an outside diameter of 3.9″ (100 mm), so it might be a bit bulky on smaller wrists. Keep that in mind when ordering. If you would like it personalized there is a small space on the bottom of the outside of the bracelet. Simply specify at check out what name, date and/or very short message you would like. It would make a great graduation gift, 21st birthday gift, or gag gift for someone. preferably a girl since, on a guy, it might attract some unwanted attention. What’s the point of a stealth flask if everyone is looking at it, right? Dimensions: 3.9 x 1.25 inches (100 x 32 mm). Weight: 9.6 ounces (272 g). Capacity: 4 oz (119 ml).